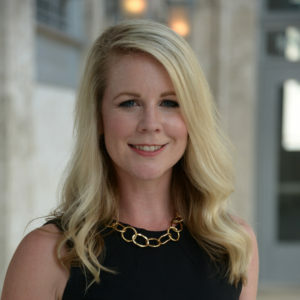 Jenna Persons was appointed to the Commission in 2017 by Senate President Joe Negron. As a partner in the law firm of Strayhorn & Persons, she takes pride in her work and being a part of projects that will beneficially impact our community for decades to come. She has built her practice around a dedication to the community and respect for the important role of local and state government. Upon graduating The George Washington University Law School, she returned home to Fort Myers to start her legal career. A sixth generation Lee County resident, she offers her clients a perspective that is rooted in knowledge of the intricate history of Southwest Florida, understands current policies and trends, and sees where future investment can add the greatest value. Ms. Persons has served on the Lee County Bar Association Executive Committee and co-chairs the Association’s History Committee. She has been recognized as a Florida Super Lawyers Rising Star and was recently featured in Gulfshore Life Magazine as one of Southwest Florida’s young professional impact players. In 2017, she was honored in both Gulfshore Business Magazine’s 40 under 40 and Business Observer’s 40 under 40. Ms. Persons is a founding charter member, Director and past Treasurer of the Tiger Bay Club of Southwest Florida and is a member of numerous organizations including The Fort Myers Woman’s Community Club, Real Estate Investment Society and Greater Fort Myers Chamber of Commerce. Ms. Persons has also been an active supporter and friend of various community and service organizations such as the Abuse Counseling & Treatment Center and Community Cooperative. When she finds spare time, Ms. Persons enjoys playing tennis and fishing.